Oklahoma City Ballet Dancer Callye McCollum. Where are you from and when did you start dancing? I am a native of Lima, Peru, which I am very proud to say, but I was raised in Luther, Oklahoma, which is located about 45 minutes outside of Oklahoma City. I began dancing as something to do after leaving the world of competitive gymnastics age 10. When I was 12, I started taking ballet more seriously and decided to enroll at the School of Ballet Oklahoma (now The Dance Center of Oklahoma CityBallet). When did you realize that you wanted to become a professional dancer? I don’t remember necessarily ever consciously choosing ballet as a career path, I really just loved to perform. There was a principal dancer with the company that I looked up to very much that I loved watching perform and I was determined to be like her when I grew up. It probably wasn’t until my junior year of high school that being a professional dancer started to become a true possibility and something that I began to taking even more seriously. I received an apprenticeship at 17 and was promoted to a company position the following year. What struggles or injuries did you encounter along the way? Transitioning from gymnastics to dance, especially ballet, was very hard. Not only did I have to work to reshape my musculature, but I had to learn how to use my turnout which was difficult since I had only ever worked turned in. Aside from minor ankle tweaks and pulled muscles, I have no history of injuries that have hindered my ability to perform. I have been very VERY lucky in that sense. Callye McCollum in OKC Ballet's Paquita. How has Ballet Strength helped you as a professional dancer? I primarily use Ballet Strength during the summer when I am not performing with the company. It is fantastic for keeping my muscles in shape and preparing me for the upcoming season. I have on multiple occasions used Ballet Strength to prepare for demanding roles. Last season, I performed a pas de trois in “Phantom of the Opera.” It was a very high endurance piece with lots of jumps. I decided to incorporate some Ballet Strength leg exercises into my daily routine and soon noticed a difference in my stamina and my ability to make it through the piece without cramping or suffering from extreme fatigue. How do feel that Ballet Strength could help a young aspiring professional dancer? We have reached a time in ballet where dancers cannot go with cross-training, or muscle tone for that matter. Contemporary ballet is becoming much more prominent and as dancers we must be physically ready for anything. Ballet Strength will give you an edge, no matter where you are in your career. I personally wish I would have had access to something like Ballet Strength as a student, so those of you that do are very lucky! 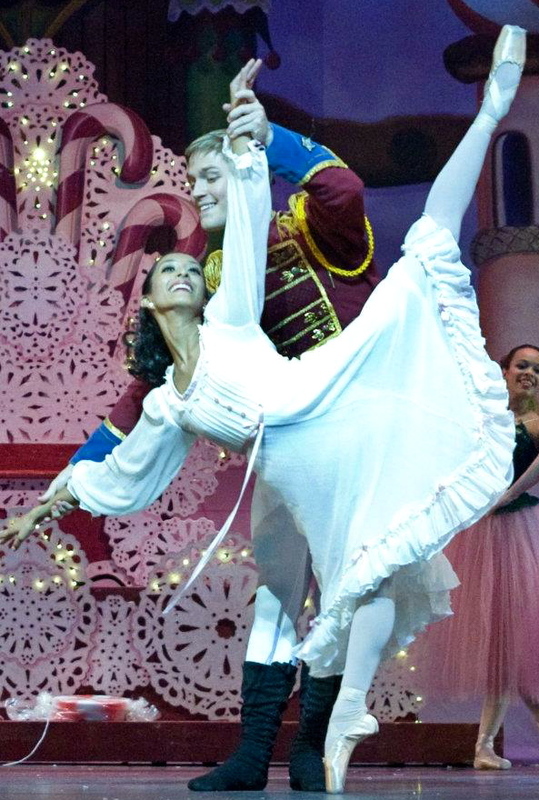 As Clara in OKC Ballet's The Nutcracker. What has been your favorite role to perform and why? This past December, I had the opportunity to perform as “Clara” in Robert Mills’ “The Nutcracker.” There were two pas de deux that were both different in dynamic but equally as enjoyable to perform. What made it extra special is that I had performed Clara when it was a student role and I was able to recall the pure joy that I felt at the age of 13. I was also cast in Robert Mills’ “Touchstones” which premiered in April 2010. There is a section in the ballet that represents maturity and being in love, in which I performed a short pas de deux with my boyfriend and fellow company dancer, Josh Crespo. To be able to share with the audience such an intense emotion, one that I already felt so naturally, was a very memorable moment in my career. 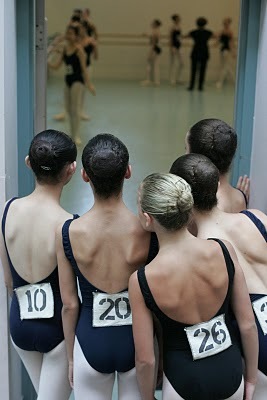 Any last words of inspiration or encouragement for young dancers? NEVER take yourself too seriously. We’re human, we make mistakes. That’s something we sometimes forget as ballet dancers. Most importantly, know your own body and be good to it. Improve your technique by cross training. As Summer approaches, many Dancers will embrace a much needed three or four month layoff. Some will vacation, some will continue to obsessively take class day after day. The smart Dancer Cross Trains. To continue Dancing with the intensity you had during the season is like beating a dead horse. Our bodies need time off in order to make important gains and improvements. Yes, you can actually improve by taking some time off! Right after the Performance Season is over, take at least 2 weeks off! Upon returning to class, this will give you a clear signal as to what “pains” are actual injuries and which were just symptoms of overuse. During that first class back (typically after a 2 to 6 week break) take note of certain areas and muscle groups in the body that feel weak. If you feel that you have a serious injury this is a great time to see a Doctor, get an MRI, and get it fixed in time for the season to start. After taking note of those weak areas, consult a Ballet Strength Expert such as myself for Dance Specific exercises that you can do in the gym. On Ballet Dancers, for example, the “turn-in” or legs in a parallel stance is usually weak. I would then recommend some basic strength training techniques involving one-leg squats and exercises on the Bosu. Dancers also tend to favor one side of the body. This is a great time to strengthen your weak side! As far as taking class goes, I recommend no more than 3 days per week during your time off. The other 2 days should be dedicated to your Cross Training program! Feeling out of breath during that variation? Don’t forget about cardio. What better time than Summer to go for a run, hike, or bike ride in your favorite park. You may be surprised at how much better you feel and how much more you are able to do pain free! How do I Cross Train? To ensure that my trouble areas stay injury free, I take class only twice per week during the off season and weight train three times per week. I also focus on keeping my core strong with lots of unique abdominal exercises. For Cardio, I do chasse’s on the treadmill, front and side! Still confused? I have taken all of the guess work out of it with my new book, Beginning Ballet Strength©. You can get your own copy at www.balletstrength.com! Ballerina or Professional Ballet Dancer? When it comes to job titles, it can get a bit tricky with Dancers. Every once in a while I will run into someone who introduces me as a Ballerina. I immediately correct them and say you mean, “Professional Ballet Dancer.” My natural instinct is to get offended. Why do I get offended, you ask? To put it bluntly, doesn’t the word “Ballerina” sound a bit juvenile? Let me explain. The Merriam-Webster Dictionary defines Ballerina as a Woman who is a Ballet Dancer. The general public does not understand that Ballet Dancers can become professional like sports athletes. They also do not understand that Professional Ballet Dancers get paid. The word “Ballerina” is most often associated with a young Ballet student or the music box dancer with her hands touching the crown of her head like an ape. I don’t want to be thought of as that, do you? This is something that isn’t going to change anytime soon, just an observation I made last week while visiting with family. Now I haven’t been taking class consistently by any means, but would still consider myself to be in good dancing shape. I noticed that my balance was very strong whether in passe, arabesque, attitude or the basic positions. I suddenly realized the correlation between my solid balance and my abdominal strength. See, I’ve been working very hard on my abdominal strength lately for my fitness TV appearances. Abdominal strength is more than just Pilates. Dance teachers always try to push Pilates on students to improve their “core” strength. While Pilates is great, it’s not the solution to the problem. Abdominal strength through strength training is! Take the oblique abdominal crunch bringing the knee to elbow on a physio-ball for example. (pictured above) This exercise engages the hip flexors in addition to the oblique abdominals in an active position. This exercise requires extreme core strength. I could go on to tell you why this exercise will benefit you more than Pilates for example, but I’ll save that for the book! There are hundreds of exercises that you can do through strength training that will leave you feeling strong and energized as opposed to tired and lazy like Pilates can sometimes do. Most of the exercises I have my Dancer clients do are standing up. Since you dance standing up, doesn’t make much more sense to strengthen you core muscles standing up rather than lying down like Pilates? 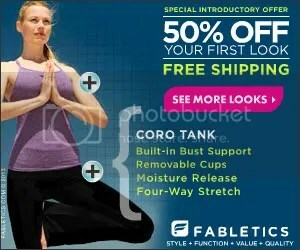 By the way, I don’t want you to think I’m knocking Pilates. In fact, I have a Pilates Mat Certification so I’ve been there, done that. Pilates is a wonderful way for injured dancers to stay limber while in a resting state. But eventually they have to translate all of that knowledge to standing. Stay tuned for more information. In the meantime, you can purchase my Ballet Strength book that contains exercises just like the ones described above! Find out more HERE.